PICTURE THIS was founded by David Llewellyn in 1984, and was based out of the Health Promotion Services of Community Hospitals Indianapolis, Inc., a not for profit corporation. 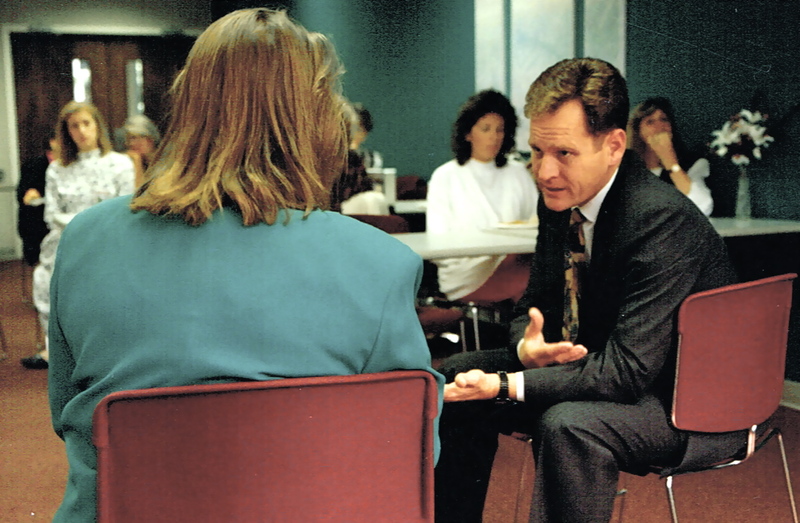 For nearly 30 years, the PICTURE THIS process has allowed audience members the opportunity to examine the complex diversity, personality, and communication issues that lead to conflict and practice the new awareness and conflict resolution skills acquired during the PICTURE THIS experience. The unique form of experiential learning that PICTURE THIS offers has provided entertaining, valuable and invigorating experiences for thousands of audience members. 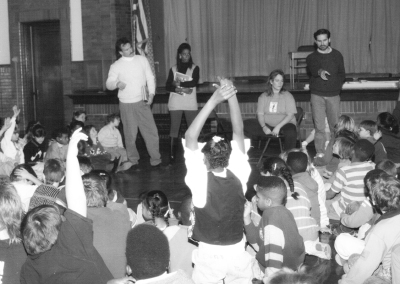 The PICTURE THIS process was developed out of two traditions; the use of improvisa­tional/interactive theatre by mental health groups to educate about social and personal issues as well as the use of role-playing (psychodrama) in group therapy. These traditions blend in the following way: Actors portray real life situations and characters, the action is stopped or “frozen” at a critical point, and the audience is then encouraged by a trained moderator to question and direct comments toward the actors. The actors then respond to the audience as the characters they are portraying. 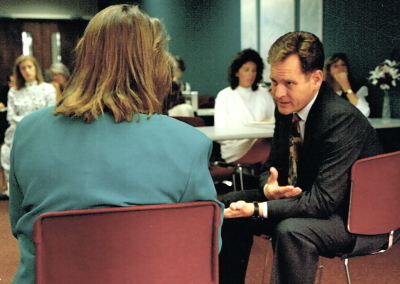 Audiences are empowered through the process of guiding the actors toward resolution; depending upon the situation audiences may be able to suggest “solutions” to the presenting problem(s) either through the use of empathy, advice, or the clarification of misinformation and miscommunication. Their first video, Picture This: AIDS and Teens, won the prestigious Gold Apple award of the National Educational Film and Video Festival, 1993, and received an Emmy nomination for excellence in children’s television as well as a nomination for a Peabody Award. 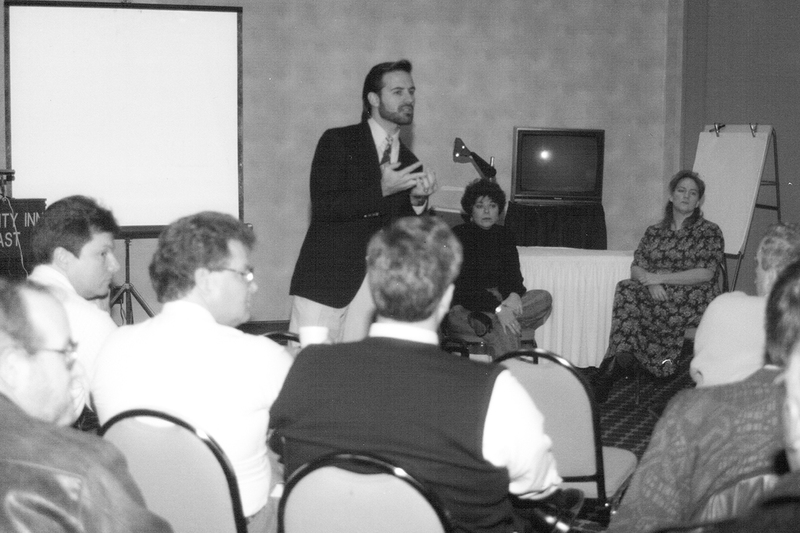 In 1996 their second professionally developed video, Picture This: Kids and Conflict, won an Emmy for excellence in children’s television as well as the Silver Apple from the National Educational Film and Video Festival. 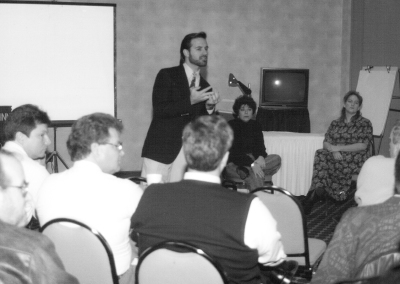 Picture This was awarded an Honorable Mention for its Diversity Workplace Programs by the Indiana Civil Rights Commission at its 1999 Spirit of Justice Awards. In 2013, The Sapphire Theatre Company acquired the PICTURE THIS program from Community Health Network, with a mission to build upon the prestigious 29-year history, continuing to serve the hundreds of schools, businesses and community organizations with the highly valued PICTURE THIS program.